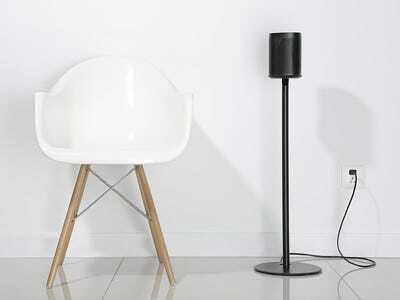 Mount your Sonos One or Play:1 speaker on this high-quality minimalistic floor stand, which is specially tailored for a perfect fit. Featuring an integrated cable management slot which runs down the length of the stand helps keep the power cable neat and tidy for an organised and clean appearance. The powder coated, sand-blasted aluminium matte black finish will look great in almost any room.